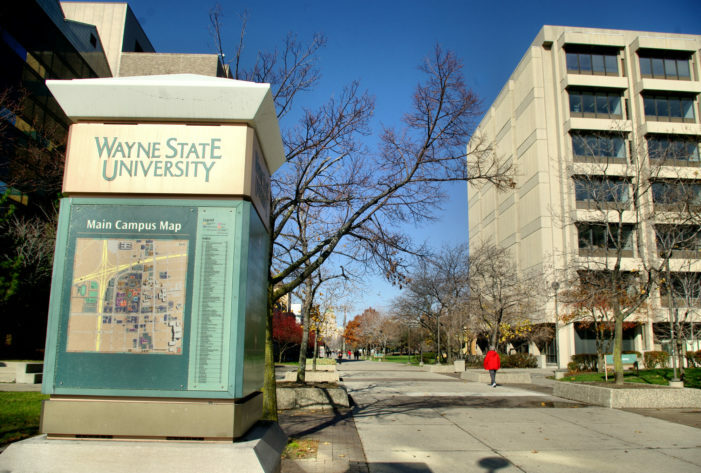 Wayne State University students facing financial hardship may not have to face delaying their studies or dropping out thanks to a $275,000 grant from The Kresge Foundation. Undergraduate students who have exhausted their federal grants and loans can now qualify to receive up to $1,500 in micro-grants. The grants are low-cost solutions for students who may have no other way of paying for an unexpected expense. The Kresge grant will help fund the micro-grants. Dawn Medley, associate vice president for enrollment, says for some students, a financial emergency could mean the difference between staying enrolled and dropping out. “These grants will be for us to make sure that the student can continue to go to classes and continue on their path to gradation,” she says. Beginning later this semester, students in need of assistance will apply through the Office of Student Financial Aid, which will then make a determination based on students’ level of need. “It is unfortunate that many students’ path to graduation have been delayed for sums as small as $1,500,” says WSU Provost Keith Whitfield. “These funds from The Kresge Foundation will have a big impact on many students’ success. “Financial need is one of the biggest impediments to graduation. This program will add to the deep commitment we have to making college affordable and a degree attainable,” he says. The Kresge award will also help fund new technology to allow Wayne State and Macomb Community College to merge academic and financial aid information on students enrolled in the Wayne Advantage – Macomb program. The system will give both institutions real-time information, including grades, enrollment status and financial aid. “It allows us to make the process smoother and more seamless for students when it comes to transfer and financial aid,” Medley says. She points out it will also mean more accurate advising and more informed financial aid decisions. The Kresge award is part of the university-wide Undergraduate Student Success Initiative, which commits Wayne State to a strategy of inclusive excellence. The initiative defines key actions in six areas needed to significantly boost student achievement, retention and graduation. Kresge’s Education team works to expand access to higher education for low-income, minority students across the United States with a special focus in four states, including Michigan. This grant falls within its focus area on strengthening urban higher education ecosystems, to help cities work in a more coordinated way to support students both on and off campus.